The History of Women & Men in UUA Presidential Politics goes like this: 29 years ago, for the first time (as far as I know), a woman ran against a man for UUA President. That scenario has repeated itself every election cycle. And in every election cycle, the man has won. Will 2017 finally be the year of the woman president? 2001 Bill Sinkford wins over Diane Miller with 67.7% of the vote. 2009 Peter Morales wins over Laurel Hallman with 59% of the vote. 2017? In New Orleans, the 9th UUA president will be elected. By then, there will have been 32 years of male UUA presidents. Is it time to forcibly end that streak? What do I mean by “forcibly?” Read on! The UUA presidential process is very different now than in 1985. For one thing, there is the UUA presidential search committee. For another, that UUA board committee will be nominating at least 2 nominees. One way to ensure that the UUA delegates elected the first ever woman UUA president would be to only put forth two women as candidates. That would be a bit of a shocker, wouldn’t it? At least to some delegates, it would. Theoretically, they could nominate more than 2, but unless there are exceptional circumstances, I don’t see that happening. (Although a recent comment by a former UUA president has me re-thinking that position. I’ll write about that in a future post). It’s also true that someone could self-nominate to be UUA president. They’d have to get 25 congregations to sign a petition (from at least five different districts) And, they could file their petitions as early as March 1, 2016, less than two years from now. Organizing efforts (including “mass mailings”) for campaigns for UUA President can begin as early as November 1, 2015. And active campaigning (including solicitation of endorsements) can begin January 1, 2016. Historically though, people endorsed by nominating committees (at the UUA national level, in my own, unscientific view) get about twice the votes of those who run by petition. There are a few notable exceptions to this rule, but it seems to be the rule. That means it is highly likely that one of the two nominees from the Presidential Search Committee will likely be elected our next UUA president at the General Assembly in New Orleans, LA in June 2017. Every UUA presidential election since 1985 has included delegates who have told me they voted for the female candidate because it was time for a woman president. And yet, a man has won each time. Why is that? I think it is because a lot of the election gets decided at General Assembly itself. And I’m not sure resumes actually count for much. My own, unscientific view, is that whoever appears to have the most charisma in the debates at GA– going into the home stretch before the election– that person will win. Don’t get me wrong. Everyone who has ever run for UUA president has had plenty of charisma. But for some reason, the men have won. Do they have more charisma than the women? I don’t think so. Are we inextricably bound by patriarchy, and don’t fully acknowledge it? I don’t know. I do know the pressure will be on the UUAPSC to select two women and no men for precisely this reason: it will make history, and break a glass ceiling that’s long been in place. Who do you suppose the women nominated might be? Complain about people not following a reasonable procedure when you haven’t trained them well in the first place. Speaking to people about your time limitations in advance of saying anything substantive. Use the phrase “self-care” in front of lay people. Don’t pledge much to your church, but expect your people to do so. Talk to your family about what you do & expect them to cheer you on. Base the success of your entire career on one ministry. Refuse to research and use good consultants, because you can do it easier & cheaper in house. Let money dictate which ministry you take on next. Always stay within your theological comfort zone. Do whatever anyone in your congregation asks. Why? Because you’re the minister and they want you to do it. Set unachievable goals to be accomplished tomorrow. Or, refuse to under-promise and over-deliver. Take on all responsibility for growth and finances. (authority vs responsibility). Or, Take no responsibility for growth & finances. Take criticism or praise personally. Secretly believe that your number one job is to keep current members happy. Or, Refuse to believe that you have any obligation to keep current members happy. Refuse to deal with inconvenient pastoral care events. Forget that you are only successful if your people are successful. We are about to make UU history– again. We are inviting a UU Minister to join our team– at the First Unitarian Universalist Church of Houston, Texas! Houston, Texas is the 4th largest city in the United States. It’s a blue city in a red state with an out lesbian mayor. It has every kind of sports team, arts venue, and restaurant you can think of, and it is home to the largest medical center in the world. Have a spouse who needs work? Houston’s job growth is twice that of the nation. This is a full-time, ongoing position with recommended benefits. $45,000 starting salary in Geographic Wage Rate Area 3 (scale of 1-7, 1 = inexpensive). Applications are being accepted now through the UUA Ministerial Settlement System or apply directly (cover letter, 1 page resume, 3 references) to doconnell -at- uua.org (Daniel O’Connell, senior minister). Your Adventure Begins– August 1, 2014. A leader in our Administrative Team (which organizes social justice, pastoral care, membership, and other ministry projects). A partner in our Creative Team (which puts together the Sunday Services and Adult & Children’s faith formation). You are a Unitarian Universalist Minister in fellowship with the UUA. You have a heart for pastoral care and an obvious spiritual depth to your life. You’re comfortable working both independently and collaboratively. You love meeting people “where they are” and helping them live out their faith (walk their talk) by nurturing their capacity for kindness and acting for justice. You write and speak well in print and in social media. It’s hard to be humble when you are as great as you are, but somehow you manage. 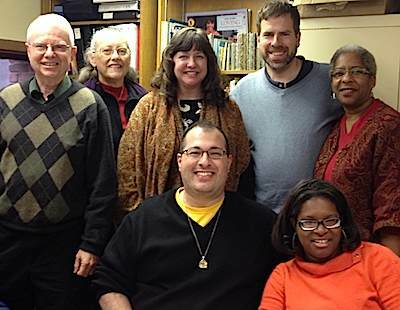 We are an active, mid-sized congregation that is breaking new ground in Unitarian Universalism. We are the first UU church to merge with two others (July 2013), to become One church in Three locations. Our Copperfield campus has about 50 adults; our Museum District campus, about 365; our Thoreau / Stafford campus, about 70 adults. You will work primarily in and with the Museum District campus. We developed the UU Creative Team approach to Sunday services and faith formation (for adults, and for children). This is a ground-breaking, collaborative approach to ministry. We are launching (Fall of 2014, and your ministry will take a lead role in) the Houston Area UU Rapid Response Network (involving all the UU’s in the Houston Metroplex). Rev. Dr. Daniel O’Connell, senior minister (and life long UU), will be your supervisor. This means there is an expectation of commitment to each other’s success: Yes, I am committed to you being successful! Rev. Bonnie Vegiard is the half time campus minister at our Thoreau / Stafford campus. We expect to be welcoming a part time campus minister for the Copperfield campus in August. Carol Burrus, our Religious Educator, is an integral part of both the Creative Team and the Administrative Team, and takes an entrepreneurial approach to faith formation. Dr. Jason Oby is our part time Music Director. He, along with Bob Fazakerly, organist, runs our music program. Grace Amborski assists as Administrative Assistant for Music. Peggy Harvey is our extraordinarily capable 25+ year Administrator. Joining her are several fairly new Administrative Assistants, 2 sextons, and a Media Technician who expertly runs our audio & video program. We have several paid child care workers. Be one of our Ministers and take the lead on pastoral care. Continue to support our excellent Care Team. Learn about, then help lead our efforts in social justice and membership. Come in with an appreciative inquiry perspective, and an entrepreneurial heart. About 2/3 of our members & friends are involved in social justice projects in an ongoing basis. You will be the ministry lead for this work. You will also preach at each campus during the year. The Creative Team offers all of its members constructive support to build better sermons and services. UUA Presidential Search: What if it were more like church? In a post originally put on their blog, and later published at the uuWorld site here, the UUA Presidential Search Committee (UUAPSC) updates us on their process. The UUAPSC has to come up with 2 candidates for UUA President, which means an automatic contested election. The ‘winner’ will get one six year term (Section 9.5 of UUA Bylaws). Their nominees will be posted no later than February 1, 2016. And self-nominations (which require a lot of congregational endorsements) can be made as early as March 1, 2016. The election will be in New Orleans in June 2017. UUA presidential campaign activity can start November 1, 2015. The Committee notes that the UUA Prez has no coherent job description, so they’re working on that. They’re thinking about campaign finance limits, diversity of candidates– in other words– all the things YOU might think about if you were on the UUAPSC. My cursory reading of the UUA bylaws suggests that they way I’ve thought of the UUA President is all wrong. I’ve thought of the UUA President as being elected “by the people” and essentially independent of the UUA board, which is there– more or less– to provide a reality check to the grand vision casting of the President, and to support the administration at the same time. The President may also be removed by such a vote of the Board if it determines that such removal is in the best interests of the Association. What if the UUA Presidential Search Committee process were conducted like a UU church Search Committee Process? Everyone would understand the President works “for” the whole Association, but is ‘supervised’ by the board of trustees. The board of trustees would understand their role– not as an adversary, not as a ‘counter balance’ a la American politics– but that their chief role would be to make sure the President was successful in carrying out the mission, vision, and values of the Association. The UUA President, in turn, would do what she could to make sure the UUA board was successful. This is exactly what many UU ministers and boards pledge to each other– but I’m not so sure that is how it has worked at the UUA level. What do you think? Would our UUA Presidential Search Process be better if there was NOT an automatic election, with a “winner” and a “loser” in the process? There’s been some recent conversation among UU ministers, especially ones to whom Policy Governance is a theory, rather than a reality, revolving around differences between traditional church administration and policy governance, especially as it relates to hierarchy and administration. One recurring question: what are the benefits to governance by policy, rather than having a board manage a church? The short answer: it encourages flexibility, the seizing of creative opportunity, and forces appropriate delegation. Let me say right up front: PG is not good if the “Executive” is not proficient at administration or if the Board is not qualified to run a church. Sadly, this is frequently the case. The worst part is ministers and boards who don’t realize they are not competent. Why ministers– especially senior ministers– don’t want to thoroughly understand non-profit administration is beyond me. Why would you nail your shoe to the floor? How much good can you do if you can’t raise money and inspire people? Why should anyone let a minister supervise staff who hasn’t demonstrated they can do this well? OTOH, with a trained executive, and a trained board, PG allows for religious entrepreneurship in a timely fashion that is otherwise, mostly unavailable to UU churches. This is one of the reasons, most large UU churches (and many districts) operate under PG: they see major benefits, and especially clear role delineation. For that reason alone, I’d say PG is worth a look– it forces us to hand off authority commensurate with responsibility. Whence my perspective? I have operated as the president of the Central Midwest District for 3 years (and before that a district board member for 4 years). I also operated as the Executive (Lead Minister) in St. Louis for 8 years; and now here in Houston for 4 years. So, I have seen PG as a board member, as president of a board, and as an executive, in one way or another for the last 11 years.PG is great for some, not so great for others. It is great for me and my lay leaders. PG means I can turn the large ship around on a dime. Within the “limitations,” I can use the expertise, knowledge, passion, creativity, of my staff and myself to seize opportunities that present themselves in a timely manner. PG means the board always speaks with one voice. PG means the board’s entire relationship to the staff is through me– which simplifies hiring, evaluation, and compensation, and reduces staff triangulation. PG means I am there to make sure the board is successful; and vice-versa, in a very explicit way. In 3 and 1/2 years here, that has meant: we’ve gone from 1 service to 2. We’ve gone from 1 campus to 3 campuses. We’ve added staff as I saw best (in consultation with the leadership). We adopted a brand new Creative Team approach to Sunday Services, Adult Faith Formation, and Social Justice Programming, and changed our communications. We adopted a new Healthy Communication Team approach for a grievance procedure. All of that would either not have been possible, or would have moved at a much more glacial pace that we were able to do with PG. PG depends on mutual trust, demonstrated expertise, and mutual commitment to success. It requires more work & expertise than conventional church management, and it requires another skill set for the Executive. But when it works, it’s wonderful. It’s allowed us a first in UU History: to be One Church in Three Locations. What’s your experience with PG? As I wrote previously, the Committee on Ministry model tends to contain procedures which ensures its dysfunction. What’s worse, is that this flawed system is often instituted right at the very beginning of a new parish ministry. Lay leaders were frequently told that members of the search committee should form the new Committee on Ministry. What a disastrous mistake. Let’s look at this from a search committee member point of view. Imagine you get selected to be on your church’s pulpit (search) committee. How exciting! You and 6 other people– some of whom you may not know very well– get to pick the next minister of your church. Other than real estate transactions– which happen far more infrequently– this is the biggest news a church can get. A new minister means a new chapter in the historic narrative of the church. It’s probably the biggest single intentional thing a lay person can do in the history of that congregation. For Unitarian Universalists, it’s usually a very expensive undertaking. One that will take you away from your family for long weeks. You are bound to secrecy (i.e., confidentiality). You might start with 20 interested ministers. Have phone calls with 8. Fly in 4 pre-candidates for weekend long interview, and finally– finally— pick the one candidate you hope takes your church into a bright new future for many years to come. What greater impact can you as a lay leader have than to pick the next minister? It’s huge, it’s far ranging. It’s the most hours, days, and weeks you have spent on behalf of your present and future church. You have bonded with your committee members. You have stretched yourself personally and spiritually. It’s exhilarating. And your reward, when it’s all said & done? But then you hear that the sermons are too long or too short. That there is too much religious language or not enough “spirituality.” And on, and on. And since people mostly give praise directly to the minister (which you don’t hear), but do complain to the CoM, you don’t hear as much praise of the minister you selected as you do complaints. And everyone who complains seems to think that you can go get that minister to ‘fix’ the “minister’s” problem for them. After a while, you grow weary of hearing dissatisfaction– however small. 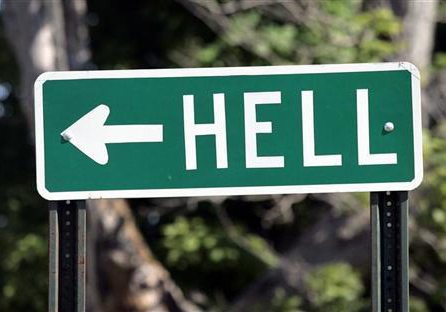 You leave the CoM when your term is up– and frankly– you may leave the church– now having second thoughts about the minister you helped bring to your church. I have seen this dynamic play out once in my own career and multiple times in the careers of colleagues. It’s a strategic mistake, and it ought to stop. When I came to Houston in 2010, I decided I wanted a different procedure to be used: a new method. It was, in fact, the very first team of leaders I assembled, because it’s that important. I read & questioned & queried colleagues & read some more. And then it happened almost by magic. Really, it happened in hindsight, but it was terrific. What should happen to members of the search committee if they don’t form a Committee on Ministry? They should be elected to the board of trustees! Maybe not all at once, but certainly, bit by bit. Now, you have a minister and a board who are committed to each other in a new way– after all– THEY PICKED EACH OTHER. Not only that, but your ex-search committee is your best source of bold, initiative taking, blue-sky-seeing, prudent-risk-takers in the whole congregation! And by the time the search process is over, this is the most thoroughly vetted group of lay leaders in recent memory. They will collectively tell you who would make a good board member, and who is questionable. Who completes their assignments and who doesn’t. Who is fun to be around and who needs more hand holding. Not only that, but the search committee is heavily invested in the new minister. What does that mean? It means that they– perhaps more than anyone else– is heavily invested in the new ministers success. One of the minister’s main jobs is to make sure the board is successful. The minister confers monthly with the executive team (president & vice president). Make sure they have the information they need, make sure they understand the minister is there to support them– in ways pastoral, strategic, and with leadership. And now, this new board? One of their main jobs is to make sure the minister is successful. Since they are working for mutual success– and the default complaint mechanism is gone– the board is not paying much attention to trivial complaints– instead focusing on how the minister and staff are accomplishing the mission. For those of you who are settled ministers, I am curious to know what ever happened to your pulpit / search committee? This is particularly helpful in a multi-site situation when not everyone “knows” everyone else– including who the leaders are, what there portfolios are, or which campus they happen to be at. And of course– If you don’t have an intentional grievance procedure, then people will usually use the default method. What is the default method? To complain to a lay leader, hopefully the board president. Assuming the church has a minister, and that to the extent people think the minister is responsible for everything, that the board president is likely hearing negative things about the minister– and rarely positive things– since most people will use face to face when it comes to positive communications. This means the board president is likely to get a skewed view of what others think of the minister. 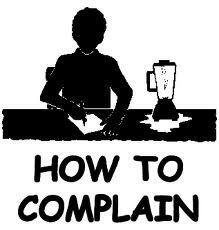 This makes a certain amount of sense: if you hear more complaints than compliments, what is a logical conclusion? These three problems prevent forward progress and increase anxiety and dissatisfaction for everyone involved. If this is a perennial problem, why hasn’t it been solved? People have come up with a lot of ways to avoid conflict and dealing with complaints, and they mostly– don’t seem to work. Perhaps we frequently prefer subtlety, tact, and the desire to spare people’s feelings. So, over the years, folks have come up with various euphemisms, strategies, and committees to deal with complaints– although these groups rarely make that explicit. For congregations that have a minister, an old name for this kind of group was: Ministerial Relations Committee (MRC). This group would be the official group you could complain to about the minister. But it was also the group that would advocate for the minister’s compensation: big mistake. People on the MRC would try and remain ‘impartial’ but were frequently seen as either “in collusion” with the minister, or worse– antagonistic to them. There were little tricks to try and change that mindset– the minister would select twice as many nominees as needed, the board would pick from that group, 3 year revolving terms, and so on– but this did not change the basic dynamic. A new euphemism came up in place of the MRC, it was called “Committee on Ministry” (or CoM) and it’s purpose was to look at the overall ministry of the church and then the minister’s place within that overall ministry. Alas, this didn’t seem to change many people’s minds, since just changing the name and widening the scope didn’t do much about the inherent problems with the complaint system. Like many colleagues, I have been greatly influenced by the idea of making church more simple, accessible, and easily understood. If you’ve been a UU for any length of time, you know this is an inherent challenge of our religion. The Healthy Communication Team (HCT) is available after most regularly scheduled church services. There is at least one person there, with a book and a pen. There’s a sign on the table, so it’s easy to spot. If someone has a comment– about anything– they write it down in the book, along with their name. The key item here is– no anonymous feedback. The folks on the HCT follow the process on the Grievance Flow Chart. This chart is printed in the church “Information Guide” (our main print publication) and is available at the HCT table. Board members, most lay leaders, know that if someone has a complaint (or more rarely) a compliment, and the “messenger” isn’t sure what to do with it, then they are guided to the HCT table. The HCT does two main things: triage the grievance, and provide guidance to the aggrieved. They are basically the same process. 95% or greater grievances have to do with preference. 1% has to do with policy. Preference is about personal preference: music, wall color, the use of pew ropes, publications, religious education curricula, and of course sermons. Because we operate by policy governance, and because most decisions of consequence are clearly delineated via our governance documents, most of the time, individual preference is acknowledged, and occasionally changes or adjustments are made. Most of the time, the preference is simply acknowledged. Performance would be things like: not returning email in a timely manner, failing to perform some essential function of a job, that kind of thing. Policy has to do with violation of board governance policy– failure to comply with government regulations or failing to report something essential to the board, that kind of thing. Every month, the HCT sends a summary of whatever was written in the book over the preceding weeks to the senior minister and to the board of trustees. There is rarely conversation about these things at the board level, usually the senior minister reports the status to the executive team. The senior minister usually responds in person or via email to the aggrieved. Often, that is the end of the matter. Occasionally, given enough people with the same preference, a change is made to the governance policies to avoid future incidents. The system serves us well. People feel heard. The emphasis is on clear, straightforward communications that avoids anonymity and encourages direct communication. What’s your default grievance policy? Can all you lay leaders tell you what it is off the top of their heads? Several people wanted to know how we could only spend a few hours a week on Sunday service preparation. This is a perfectly reasonable question. The first thing you must understand, is that there are 4 ministers and 1 Religious Educator working on this, along with the occasional music director. So, none of us are working on these services alone. It also means that if I run across a particularly juicy illustration or anecdote that would work better in a colleague’s sermon than the one I happen to be working on, she gets it. Note– that if you adapt this model to where you are preaching to different audiences (i.e., it isn’t the same church– you can each use the juicy illustration). So, as a team, we get all these things done, but we spend about 3 hours per week each week over a 6 week (42 days) period (working on more than one sermon at a time) to get that done. The Creative Team meets every Tuesday for 2 hours to “discuss & decide” everything related to the services. Remember– When we work on services, we work on 3-4 at a time– the whole series. First week: we each do Initial Research (ITR). This means we look for book reviews, blog posts, TED talks, colleague recommendations, magazine articles, online videos, anything that relates to the theme. Each of us spends about 3 hours during the course of a typical week doing that ITR. We post our research in a cloud based project management system called TeamworkPM by a Friday afternoon, so we can read each other’s work over the weekend. 2nd week: Meeting of Assignment. Based on what we’ve found, we assign further reading to get the juicy bits– now we’re looking for actual material to use in sermons. Our ITR is going to suggest an arc. But we also ask ourselves: What is a uniquely UU viewpoint on this particular topic? We begin to get ideas about what the sermons are likely to be about and who is likely to do them at which location. Assignments for further research our handed out here. Begin research & writing (3 hours). And obviously you can play with the order of things and mix & match, depending on the circumstances. This week we frequently get everything we need: hymns, graphics, music, titles & blurbs. Also, we often have a sermon outline by this point, certainly by the following week. 5th week: Building the Arc, Part 2. If we need it, or for further refinement. Many times we’re done with everything but the individual sermon outlines. 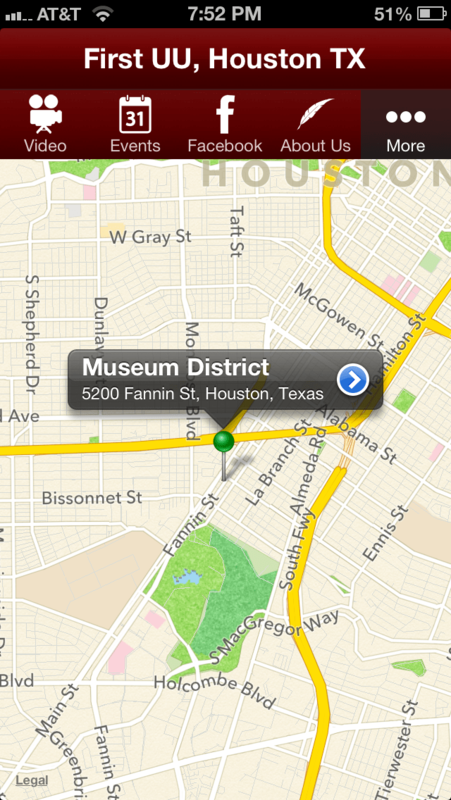 And by the end of that 6th week, the 1st sermon in the series gets delivered at the Museum District campus. Frequently, this means that a sermon is basically done the Tuesday before the Sunday of first delivery. And, it usually means colleagues– given our critique process– have made the sermon better than it would otherwise have been. It makes the ‘arc of the series’ much more coherent. Given the abundance of research material we’ve gathered– and not all of which we’ve used we now have plenty of material for an ADULT RE SERIES– that runs concurrently with the sermon series. Talk about value added! For those of you who like spreadsheets, below is a version of what we do. Undoubtedly there will be more questions. Put them in the replies below, and I’ll try to answer them in future posts. In the meantime– if you’re a solo minister (as the vast majority of UU ministers are), can you begin to see the advantages to a team approach? What if you put together a team of 3-4 colleagues, agreed to monthly themes, then meet (physically or virtually) to accomplish the same purpose? I guarantee you, that you and 3 colleagues could start with the same sermon outline and wind up a week later with different, personalized sermons that benefited from your research collaboration. Plus your preaching skills would increase since you’d have more time to practice delivery (if you chose to do that). Frankly, I think it would be fun to run a ‘boot camp’ for people who are interested in getting this going, but timing would be tricky. Invariably, there is some confusion when we use the phrase “campus minister,” because folks thinks it means a community minister doing outreach at a local college or university. However, we haven’t found a good substitute (yet) and so we should be clear about what we mean in the multi-site context of how we define a campus minister. In our church, we have 3 campuses, identified by their geographic location within the greater Houston area metroplex: Copperfield, Museum District, and Thoreau / Stafford. Each has a campus minister. The campus minister is the face with the place. They are physically present on their campus almost every Sunday, even if they are just part time. This is part of the magic of multi-site ministry. In the older way of thinking, a quarter time minister would preach about once a month, meet with leaders periodically, maybe go to board meetings, and not much else. Typically, the minister does not reside in the same town, and frequently has other employment– either with another church or something else. This means that when newcomers arrive, the minister is “never” there, and there are clear doubts as to the long term viability of the church. Often, the pool of available ministerial talent is much smaller for part time ministry as for full time ministry. It is a classic no-growth situation and is part of the catch-22 nature of small congregations– they don’t have the resources bring on staff that can grow the church to the size where it can afford those resources– and even if they did– it seems like it would take waaaayyyy to long to bring about the desired reality. How to get around this conundrum? Well, what if the quarter time minister only had to preach “live” once a month, but acted as a liturgist– became the face with the place– and was there almost every Sunday, while the other 3 Sundays, a preacher from a larger campus had their sermon up on a projected video screen? Suddenly, the quality of the sermons have probably gone up. More importantly, the consistency has been established. There is a minister physically present to lead worship almost every Sunday, and the church now seems viable in a new way that it had not seemed before. How do we make this magic happen? What is the nature then, of the Campus Minister’s time breakout? 12 hours per week = Quarter Time. 20 hours per week = Half Time. 40+ hours per week = Full Time. Several things must be noted. First, this is an early draft of the time breakout– recent events will modify this draft breakout. “Flex time” usually means administrative projects of one kind or another. For example, all 4 ministers worked on developing a leadership retreat for the end of September: we each had different roles with different amount of time responsibilities. Two Paradigm Busters: Frequency of Ministry Presence & being a Minister led Church. The key thing to note here is that we have broke out of the paradigm of a quarter time minister only being physically present once per month. Now, it is almost every Sunday– and this has led to another key difference: even a small campus can be a minister led church, which is different than a lay led church. This is a huge mental shift in thinking about how the church campus gets run. Tim Atkins, a UU religious educator in New Jersey, recently (10/18/2013) did a Facebook post on the six sources and our religious mission. In it he mentions that some religious education programs over-emphasize the first source over the other five. …It’s too easy to slide down to community being the goal in of itself. What’s the mission of the church and how does that related to the mission of Religious Education? It’s a really great question. At First Church, Houston, we are one church in 3 locations. We want to do the religious education program that can be replicable and scalable at all 3 locations. What is unique to each campus, and what is shared among us? We decided we have 9 core ministry areas. I go through this in my last post here. The 2nd and 3rd areas are Faith formation for children, and faith formation for adults. Unitarian Universalist religious education is tricky because unlike most churches, we face an unusual situation with our teachers. Most of them did not grow up in the UU faith. This means immigrants are teaching the natives. church becomes more of a family activity, rather than an individual one. These are all good things. But they come with an inherent problem. You might imagine the problem this way. You are just beginning to learn Spanish, and you are trying to teach what you know to someone who knows even less than you do. At least with Spanish, there’s a book you can go to. What authoritative texts can newcomers to Unitarian Universalism turn to? Well, probably the greatest single repository of UU thought is in our hymnals. You can find out what UUs “believe” by reading through them. If you pay attention to when they were written, you can also pick up an evolving theology. But with no creed, the only other– and shorter– options are the Principles & Purposes and the Six Sources. Some colleagues don’t like these, but their chief complaint is that they personally don’t like them. However, they are still useful to newcomers– who want clarity, and not waffling, or overly definitive obfuscatory verbosity. If we’re going to do UU faith formation– we have to ask– what’s the point? what experiences do we want them to have had? what do we want them to know about each of the six sources above? what constitutes a spiritually mature young adult UU? If we know the answers to these (and similar questions), then we can design a faith formation program for the immigrants (teachers) and the natives (students) taking their context and stage level into account. what does a spiritually mature adult UU look like? Sound like? How do they behave? How do they model UU elderhood? But I hesitate to say faith formation program. Why? Because really, our faith formation isn’t a program, it’s a step. When we think of programs, they can have a life of their own, their own agenda, ideology, mission statement, angel investors, and constituency: in other words the classic toddler’s parallel play (that’s when toddlers play in the same room, but my not interact with each other much). And the problem with that is that you end up with a lot of separate programs that don’t interact with each other very much: they can end up being focused on their own program needs, to the exclusion of integrating into the overall church mission. our only adult faith formation program / step: Growth Groups. I’ll explain how we do that in a future post. Suffice it to say, that all 3 areas are integrated. We have 4 UU ministers and 3 UU religious educators all working on the three things above together. The six sources are the most powerful and easily understood template for what undergirds UU-ism to newcomers. Our faith formation relies on the unusual setting of immigrants teaching the natives. If we can name what a spiritually mature UU is, then we can design a series of steps (a program, if you will). Our faith formation ought to move a person along this path, and we ought to be able to measure the results. If we find out our ‘steps’ aren’t getting the desired results, we change them. 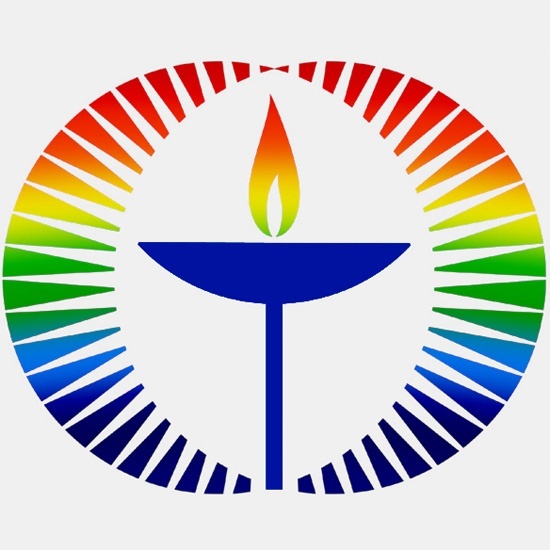 firstchurchnow@gmail.com on UUA Presidential Search: What if it were more like church?